Terror drives Noelle St. Clair as she seeks a safe place, far from a controlling father and fiance. She lands in Juniper Falls, Colorado, and finds a haven at a small ranch. Yet, the panic attacks and frightening dreams follow her. Rick Spencer, a strong Christian, knows something haunts the lovely woman who stays longer than the average tourist. His brother, Morgan, falls hard for Noelle, but makes little progress in breaking through the shell surrounding her. The other drawback: the woman wants nothing to do with God. Wow! 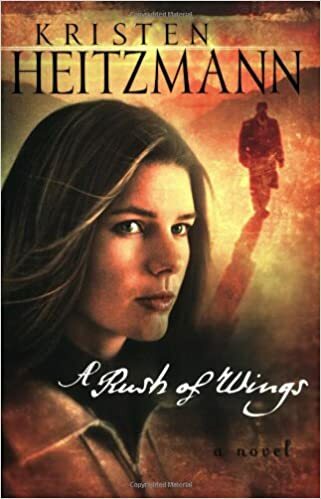 This is classic Kristen Heitzmann storytelling with a mix of suspense and romance. She gets into each character's head and leads each one through a process of self-discovery, faith, and change. I'm so excited to see this is the first book in a series. I can't wait for the next one. 5 Stars for this all-around winner. Disclaimer: Neither the author nor the publisher paid me for this review. All opinions are mine and mine alone. Writers: Do you research various character traits or how traumas can affect a person? Please share. Readers: Do you like it when an author digs deep into the psychological make-up of a character? Please share. I love it when a book is that good :) As long as I don't get bored with lengthy descriptions and details, I'm fine.